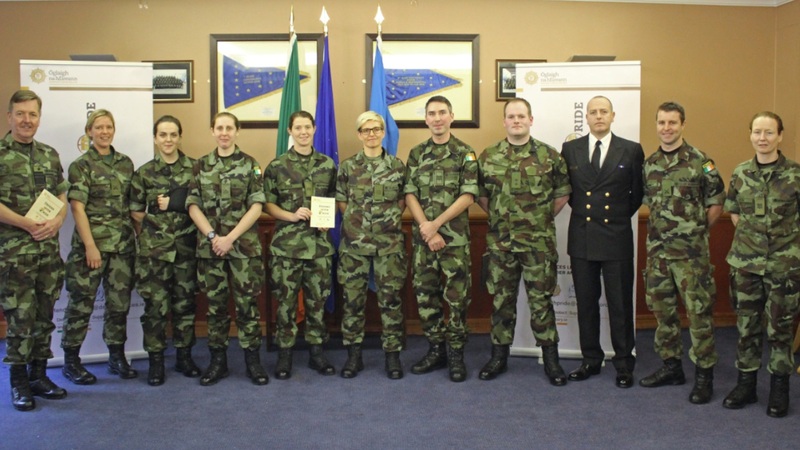 This week (11th October) Vice Admiral Mark Mellett DSM, attended the official launch of Defend With Pride, the Irish Defence Forces LGBTA Network. At the launch were a number of guest speakers, including Brian Sheehan, Executive Director of GLEN, and Ms Catherine Vaughan, from Ernst & Young, who is a Senior Manager, Role Model and Diversity Champion, who spoke on inclusive workplaces. 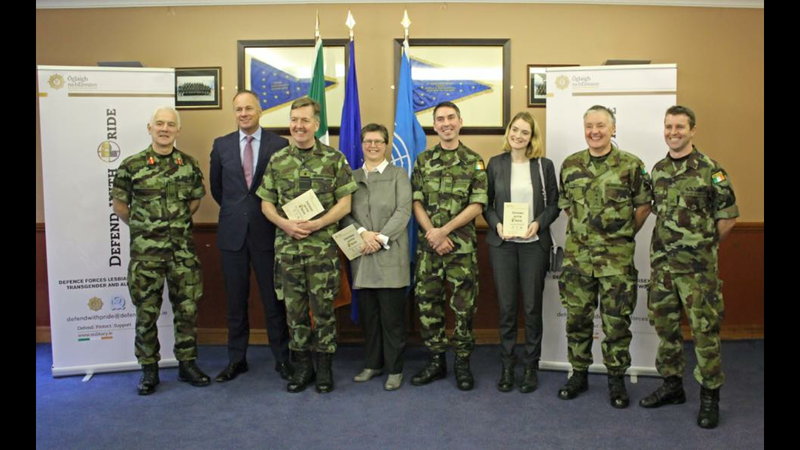 The official launch is also part of the Defence Forces involvement with GLEN’s Diversity Champions Programme. 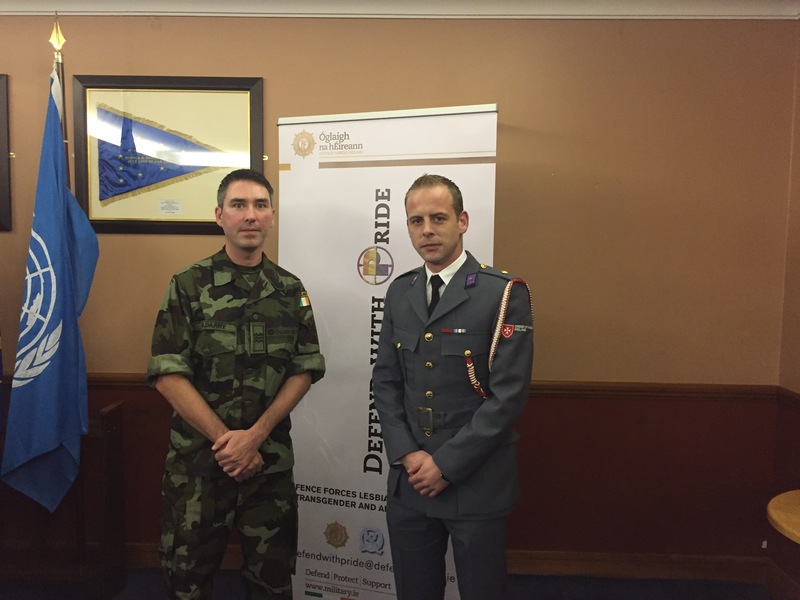 Defend With Pride, the LGBTA Network, is a resource for all Defence Force personnel. 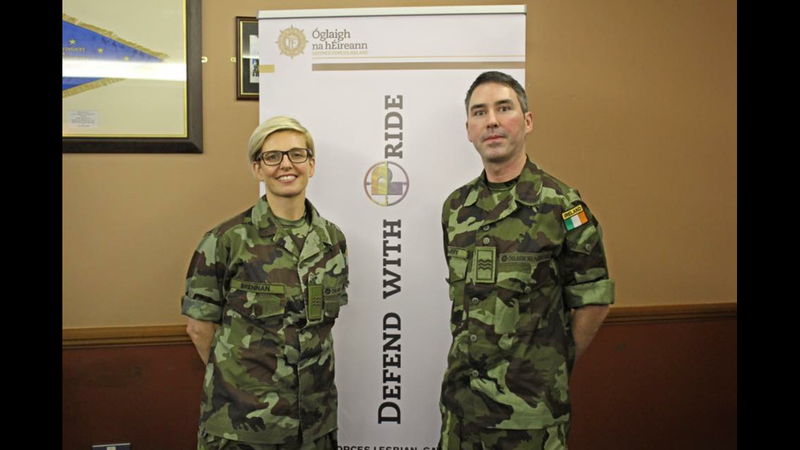 It aims to provide support, information and guidance for LGBT personnel and Allies, who wish to support colleagues, friends and family. ← Dublin Bears To Host Irish Premiere of Bear City 3!